In order to live in a hygienic environment it is essential to take adequate measures to clean your surroundings. However, with our busy daily life is difficult to follow appropriate cleaning procedures at our place. This is the reason why people today leave their cleaning needs to the experts providing professional cleaning solutions. Our cleaning company is called Cleaners Putney and provides top quality home cleaning services in Putney, SW15 London. House cleaning is among the most popular form of cleaning solution that many families are taking up today. It’s like almost each family in Putney, London requires this form of cleaning solution for their houses today. Our services come in various packages and you have the option to select the best one for your needs. We clean your entire house as a part of the one off cleaning service. Your living rooms, bedrooms, kitchen and bathrooms are cleaned with modern tools and chemicals ensuring that you live in a much healthy environment. We take care of your kitchen and disinfect the sink and other most widely used ares. We believe that kitchen is the most used part of your house and the place that needs to be well cleaned. The cupboards and appliances are wiped and cleaned north inside and out. The furniture and appliances around your house are properly cleaned and dusted. Floors are mopped and the carpets vacumm cleaned. Just chose the right package for your needs and call us when you require the service. 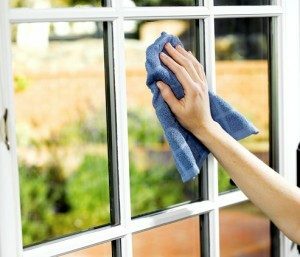 Rest is taken care of by our experts who have been well trained to clean your house effectively delivering high quality results. We ensure that your privacy is well maintained keeping in view providing the right comfort for you to live.